Here's a quick roundup of stories you may have missed today and this weekend. 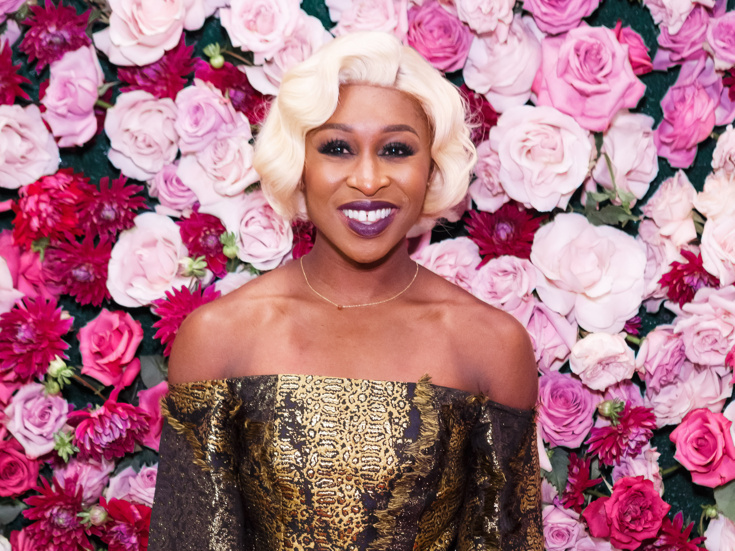 Cynthia Erivo has added another accolade to her growing list of achievements. The Color Purple Tony winner won a Daytime Emmy over the weekend for a guest performance on NBC’s Today. On top of Erivo’s Grammy win for the Color Purple cast album, she is now just an Oscar win away from becoming an EGOT. That just might happen when the young star appears in the upcoming Harriet Tubman biopic. Broadway veteran and D.C. theater mainstay Natascia Diaz is offering a first listen to her Mary Magdalene in Signature Theatre’s upcoming production of Jesus Christ Superstar. The strong singer shows off her powerful range with this rendition of the musical-theater classic in the video below. Jesus Christ Superstar plays the Arlington, Virginia theater from May 9-July 2. Tony winner Michael Mayer will helm Rob Roth's world premiere play Warhol Capote, based on a work Andy Warhol and Truman Capote wrote together for Broadway in the late 1970s but was never produced. Warhol Capote will debut at American Repertory Theater in Cambridge in September, with an exact start date to be announced. Glen Berger, who made headlines with Broadway's Spider-Man: Turn Off the Dark, has collaborated on the upcoming New York premiere A Night at the Old Marketplace. The new work that fuses music, projections and storytelling is a reinvention of a verse play by Yiddish writer I.L. Peretz. It focuses on a wedding Jester who tries to rescue a despondent bride pledged to a much older man so that she can unite with her true love. Co-created by Berger and Grammy winner Frank London, A Night at the Old Marketplace is directed by Alexandra Aaron and narrated by Edgar Oliver. The two-night presentation will take place on May 4 at 8:00pm and May 6 at 9:30pm at the Museum of Jewish Heritage. Broadway mainstay Jenn Colella, currently on Broadway in the new musical Come From Away, will lead a song interpretation master class as part of the 2017 New York Musical Festival. The class will focus on the skills behind acting a song and nailing an audition. Colella has taught master classes all over the country. Now’s your chance to see how one of Broadway’s best brings tears to audiences’ eyes. An exact date for the master class will be announced.